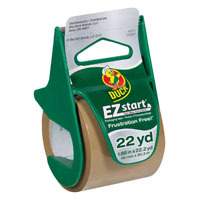 Frustration-free� adhesive that eliminates splitting and tearing when restarting the roll. Easy to apply with one hand. 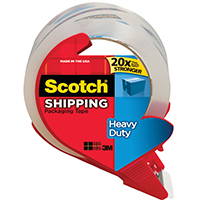 Tape Type: Packaging; Adhesive Material: Acrylic; Thickness: 2.6 mil; Size: 1.88" x 22.2 yds. Excellent holding power for packaging, heavy-duty shipping and sealing. Instant quick tack for overstuffed cartons. 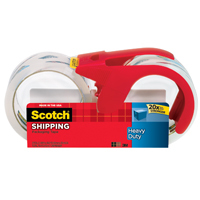 For sealing cartons up to 50 lbs. 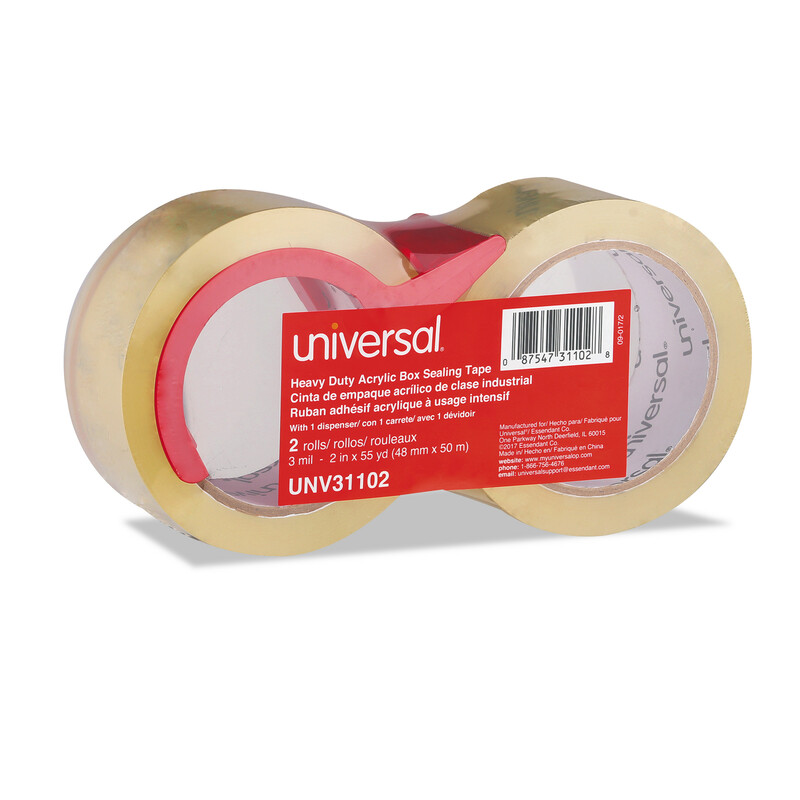 Tape Type: Packaging; Adhesive Material: Acrylic Adhesive; Width: 48 mm; Thickness: 2 mil. 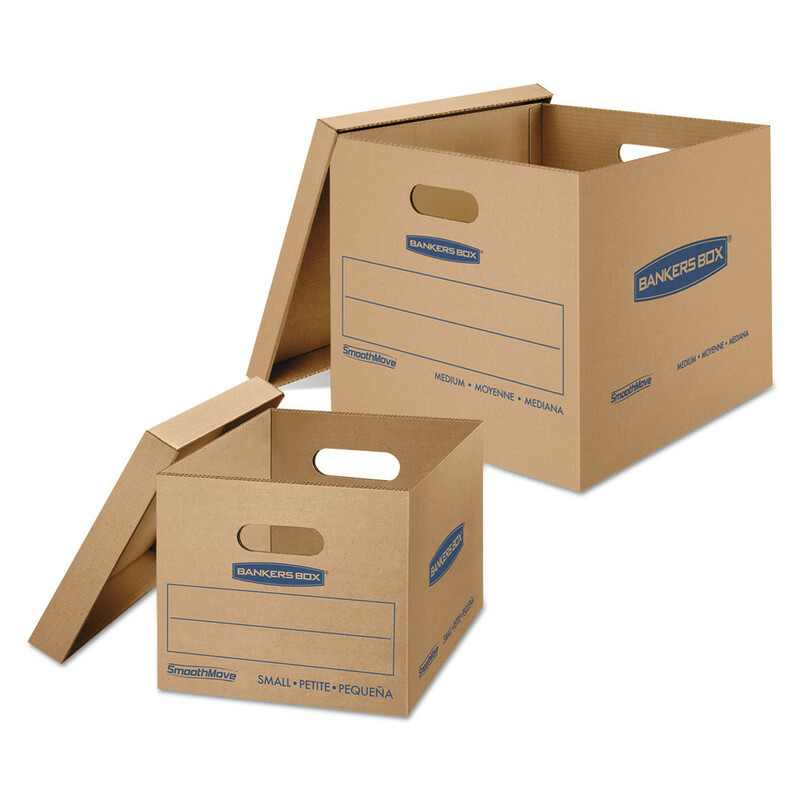 Basic boxes are constructed of strong, 32 ECT B-Flute or C-Flute corrugated board. Tape required for assembly and closure. Pre-printed for easy labeling. Reusable and recyclable. This product was made from wood sourced from a certified managed forest. Mailing Boxes/Tubes Type: Moving Box; Width: 18 1/4"; Depth: 18 1/4"; Height: 16 3/8". Clear-to-the-Core specialty acrylic carton-sealing tape for long term storage, label protection and heavy-duty shipping. Resists splits, bursts, moisture and ultraviolent light; won't yellow. Outstanding clarity. Superior temperature application range. Convenient dispenser included. 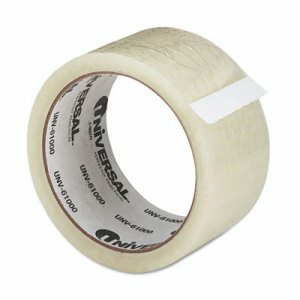 Tape Type: Packaging; Adhesive Material: Clear to the Core Acrylic Adhesive; Width: 48 mm; Thickness: 3 mil. 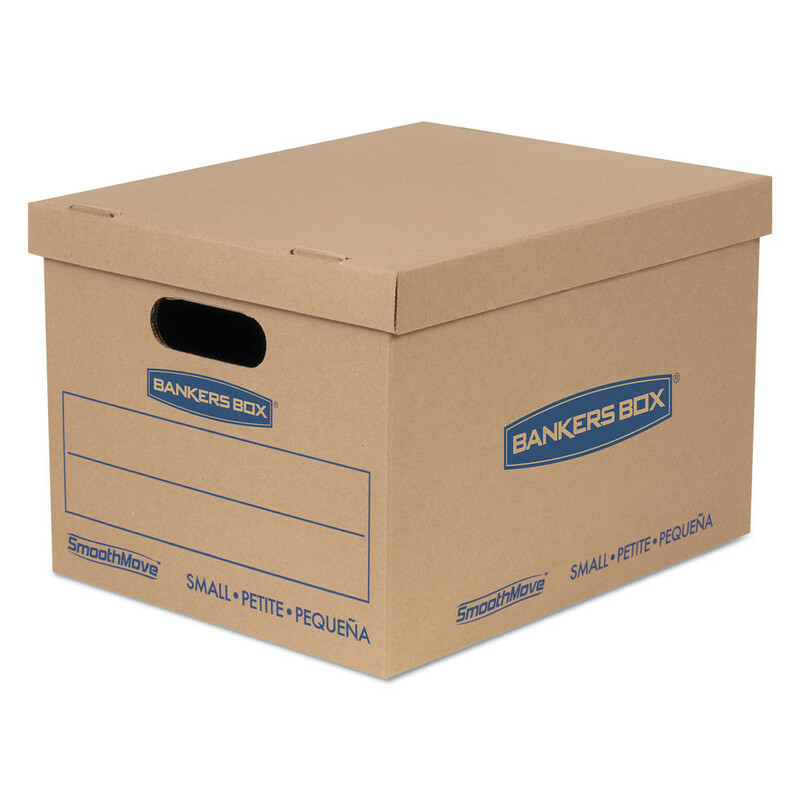 Basic boxes are constructed of strong, 32 ECT B-Flute or C-Flute corrugated board. Tape required for assembly and closure. Pre-printed for easy labeling. Reusable and recyclable. This product was made from wood sourced from a certified managed forest. Mailing Boxes/Tubes Type: Moving Box; Width: 12 1/4"; Depth: 16 1/2"; Height: 12 5/8". 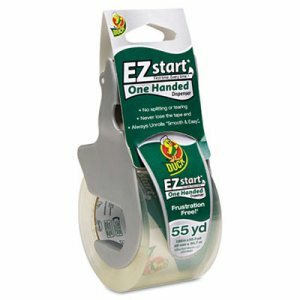 PROSERIES BANDING FILM 4" banding film on a dispenser with handle Prevents damage by keeping loose items secure- while moving or in storage Replaces tape SF4120 4 IN. X700 FT. 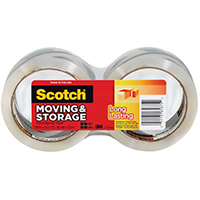 STRETCH FILM SIZE:4" x 700 Ft. Excellent holding power for packaging, heavy-duty shipping and sealing. Instant quick tack for overstuffed cartons. 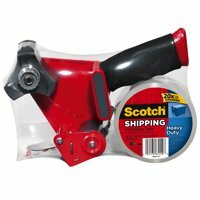 For sealing cartons up to 50 lbs. Tensile (bursting) strength 35 lbs. Includes dispenser. Tape Type: Packaging; Adhesive Material: Hot Melt Adhesive with Corru-Grip� Technology; Width: 48 mm; Thickness: 3 mil. Don't be caught off guard and uncovered! use Nielsen products moving blankets to prevent furniture and vehicle scratches, dings, dents and other moving disasters. One of professional movers' favorite supplies, our moving blankets are made with a strong, quilted and padded fabric that resists tears and holes. Manufactured by Nielsen products, the manufacturer of the Shoulder Dolly! whether moving or storing housewares and other valuables, protect your precious items from accumulating dust, dirt, debris, moisture or other damaging residue. Nielsen products moving blankets are helpful supplies to have while camping, hunting, for picnics, as a DOG blanket, in the workshop, under vehicles and much more. Order one blanket at a time, or order a 12-pack. 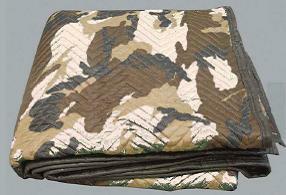 Our double-sided, quilted, premium quality moving blankets are available in two sizes: 72" x 80" and 45" x 72". larger size Works great for movers supplies, during transport and storage, protecting big furniture items like bedframes, dressers, armoires, or covering large art pieces. Smaller size is perfect as floor protection, as an auto trunk liner or truck bed liner, or for smaller valuables. 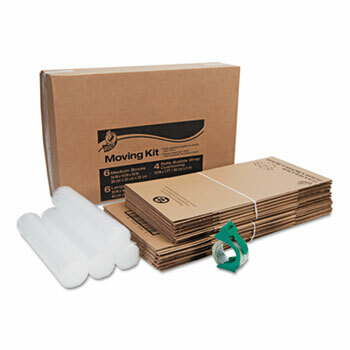 Designed with everything you need to make your move smooth and worry-free, this Duck Brand Moving Kit provides all the essentials for moving. 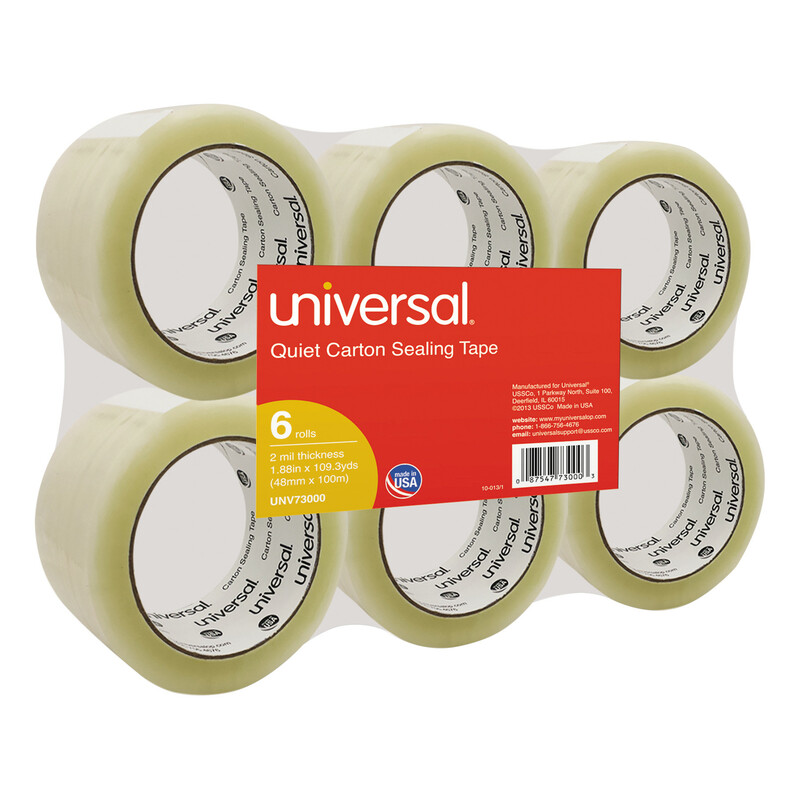 Each all-in-one kit contains six 16 x 16 x 15 boxes, six 14 x 14 x 14 boxes, four rolls of 16 x 7 bubble wrap, and one roll of 1.88" x 55 yd heavy-duty clear packaging tape. 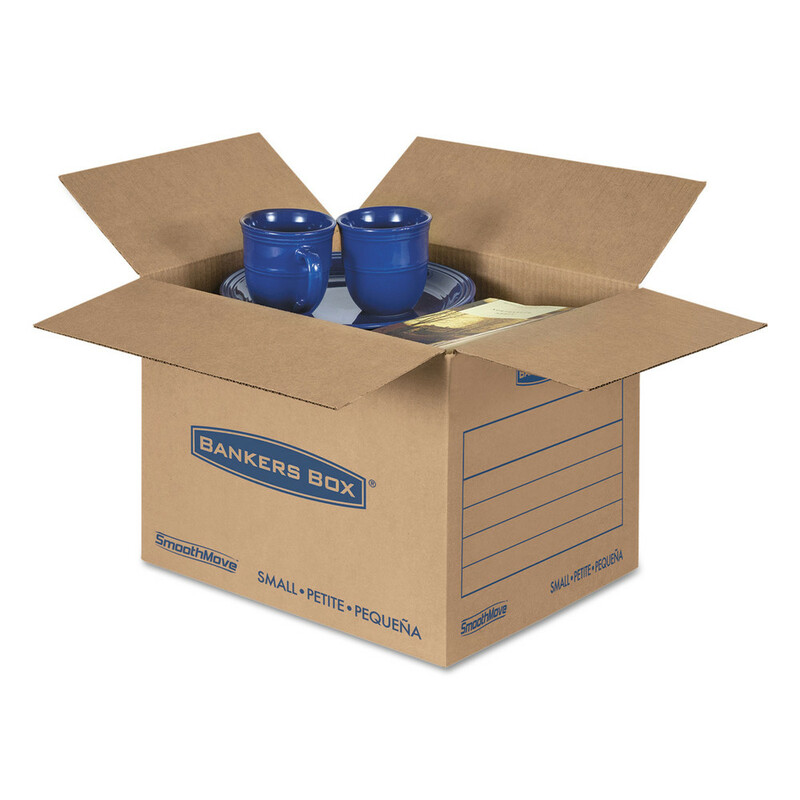 Mailing Boxes/Tubes Type: Moving Box; Width: Assorted; Depth: Assorted; Height: Assorted. Fast assembly�no tape required. Convenient lid locks into place for secure closure. Strong, durable handles for comfortable moving and lifting. Durable double end, double bottom construction. Easy to break down and store flat until ready to reuse. Constructed from strong 32 ECT C-Flute or B-Flute Kraft corrugated board. Reusable and recyclable. This product was made from wood sourced from a certified managed forest. Mailing Boxes/Tubes Type: Moving Box; Width: 18 1/8"; Depth: 18 3/4"; Height: 16 5/8". 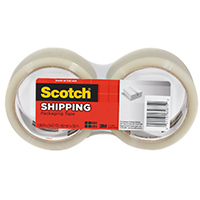 Easy set-up�no tape required for box assembly. Convenient lift-off lid. Easy carry handles. Durable, double end, double bottom, 32 ECT B-Flute or C-Flute Kraft corrugated board construction. Reusable and recyclable. This product was made from wood sourced from a certified managed forest. 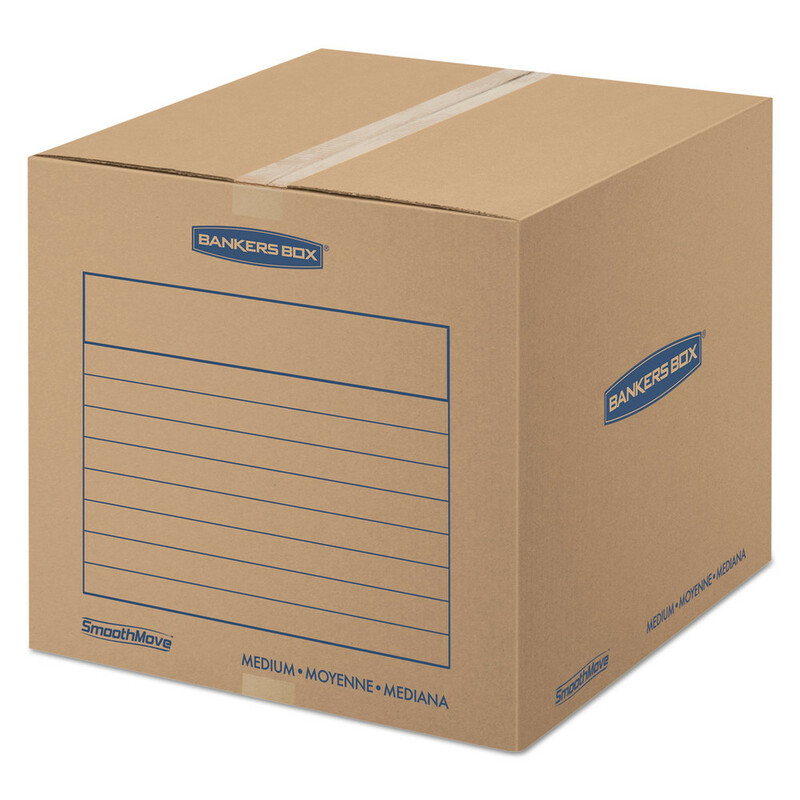 Mailing Boxes/Tubes Type: Moving Box; Width: 12 1/2"; Depth: 16 1/4"; Height: 10 1/2". Flexible, waterproof, split-, burst- and stretch-resistant polypropylene film backing provides peace of mind. Superior-gripping hot melt adhesive ensures a strong bond. Tape is UPS and Parcel Post Approved for cartons up to 50 lbs. Stock up and save! 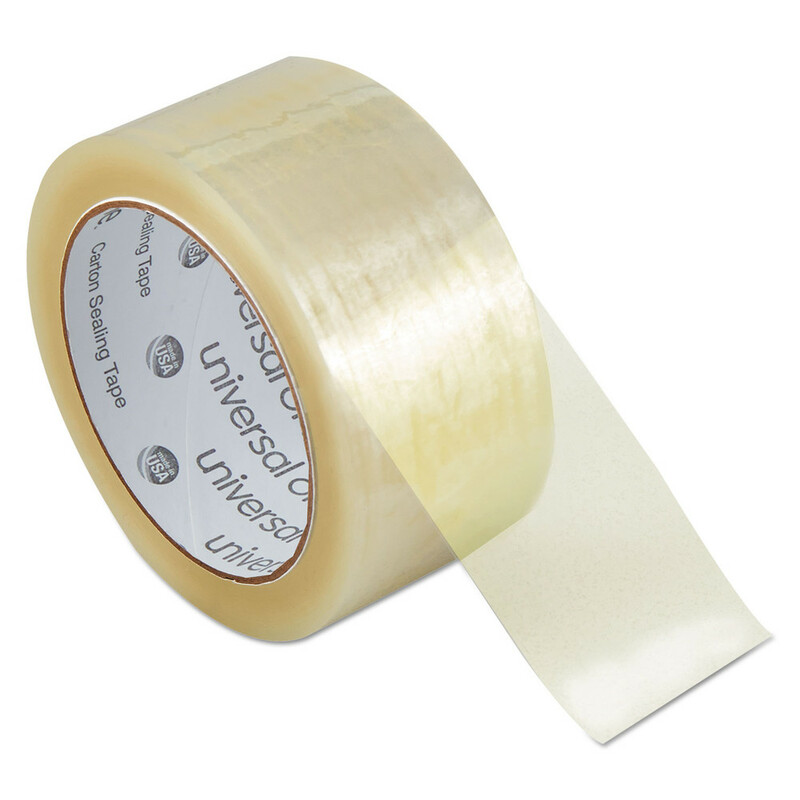 Tape Type: Packaging; Adhesive Material: Hot Melt Adhesive with Corru-Grip� Technology; Width: 48 mm; Thickness: 3 mil. 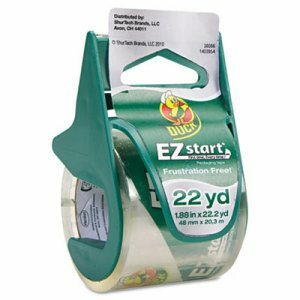 Frustration-free� adhesive that eliminates splitting and tearing when restarting the roll. Easy to apply with one hand. 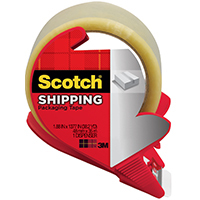 Tape Type: Packaging; Adhesive Material: Acrylic; Thickness: 2.6 mil; Size: 1.88" x 55.5 yds. Even though you may not be packaging boxes and bundling pipes with enormous weight sizes, you still want a reliable and strong filament tape. For dealing with these medium-duty packages and jobs with weights up to 50 lbs., look no further. 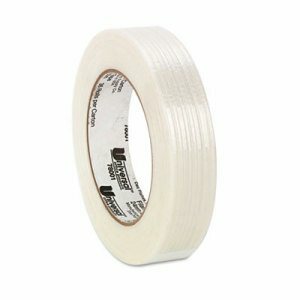 Tape features a film backing, reinforced with fiberglass filaments to produce a 180 lbs. tensile (bursting) strength. Comes with a 3" core. Tape Type: Filament Tape; Adhesive Material: Synthetic Rubber/Resin; Width: 24 mm; Thickness: 4.4 mil. 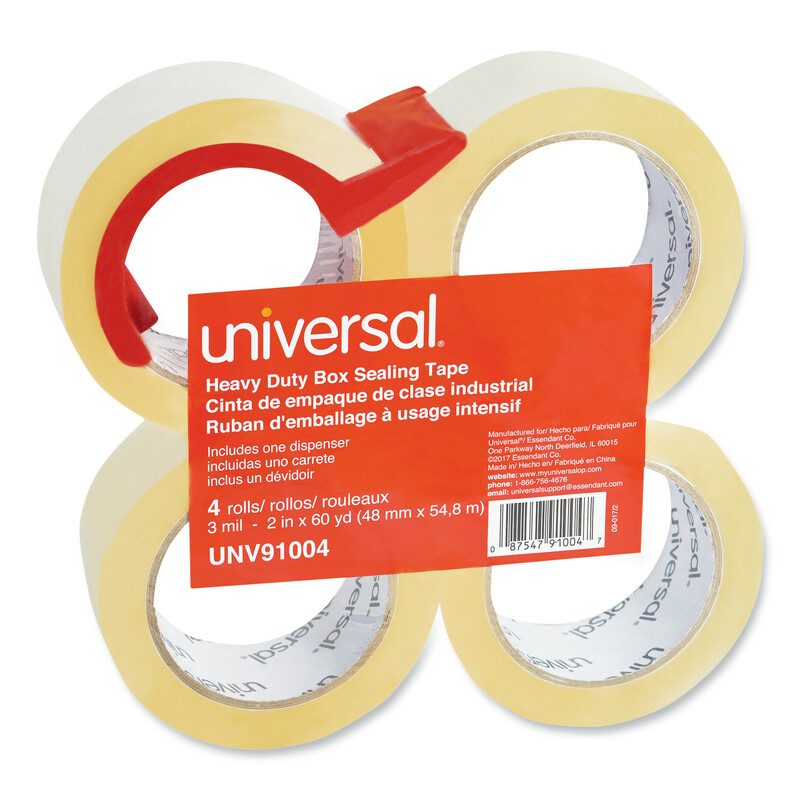 Easy set-up�no tape required for box assembly. Convenient lift-off lid. Easy carry handles. Durable, double end, double bottom, 32 ECT B-Flute or C-Flute Kraft corrugated board construction. Reusable and recyclable. This product was made from wood sourced from a certified managed forest. Contains eight small (12 1/2 x 16 1/4 x 10 1/2) boxes and four medium (15 1/2 x 19 x 14 1/2) boxes. Mailing Boxes/Tubes Type: Moving Box; Length: Assorted; Width: Assorted; Depth: Assorted. PROSERIES POLY FOAM Use to protect fragile items during storage PL1200 3/32X12X40 FT. POLY FOAM SIZE:3/32"x12"x40 Ft.